It has long been said we only rent it ! ! With the Halloween weekend having passed with all the activities for youngsters and adults alike I believe this post should fit right in. It has long been said that we only rent it, beer that is along with any other adult beverage, and we really never actually buy it. So if you are going to only rent you may as well have a really nice place to return it. 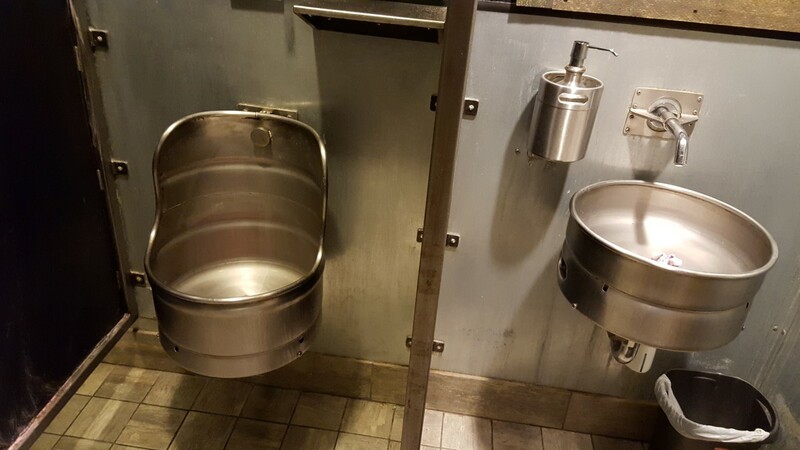 These are two examples of North Idaho urinals that are a bit out of the ordinary. Keg urinal is from 219 Tavern in Sandpoint Idaho and the stream bed rock urinal is at Lou’s Restaurant in Hope Idaho. While searching for Homes for sale in Sandpoint or Hope Idaho stop in and rent an adult beverage and enjoy the return counters. All content and images property of Mark Don McInnes and not to be used or copied without prior written permission.